A few days ago, I uploaded A Potagerie of Rejects and ordered a proof copy. There may be a few more minor fixes to be had, but I wanted to be sure the formatting was okay, as there are several images in this book and, well, sometimes it’s hard to tell without seeing the actual book. So that should be arriving some time this week–I can hardly wait! 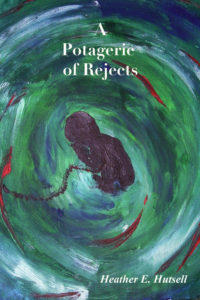 I have opened up pre-sales of A Potagerie of Rejects as of today. I should have copies to sign and send out by mid-October, and will have a more specific date in a bout a week or so. In the interim and if you are interested, you can pre-order a copy to pick up at the Steampunk unLimited event (October 14-16) for $13, or you can have it shipped to you at about the same time for $18 (includes shipping within the US. Outside of the US, please let me know and I will have to research the cost. You can estimate at least $30…). In any case, if you happen to be interested in either form of pre-order, you may paypal the funds to heather@heatherehutsell.com and put “Pre-order Potagerie” in the memo box! Thank you in advance! I’m really looking forward to its birth!! Up at a decent time and completely unmotivated to do anything. That’s not really what I wanted to write a post about, but this is where I am at the moment, and until I figure out how to get out of it, well, why not post something? Today’s agenda lies heavily in my algebra homework, as well as studying for a test. This entire past week did not leave for much time, nor much of a mental space to work on my homework, so what I have to do is from Wednesday’s class…Yeah, I know–days ago already. It’s hard not to get down on myself about this, and at the same time, it’s pretty easy to pinpoint why I’ve been distracted like this. Fortunately, I’m making steps to change my situation–to make it more livable. I know I’m not the only person out there who just can’t lie down and let life trample all over them. It’s hard to know when to start making those moves though, but for me, the biggest indicator that something in my life has to either change or be cut loose, is when it impacts my ability to write. This is happening right now. It’s been happening for a while, off and on, but heavily in the past few months. It’s not hard to know what needs to be done about it in this case–fortunately–though getting change to happen takes longer than I care for. In any case, the truth still stands: I’m happy when I write, but I can’t write when I’m not happy… Not sure what the Universe doesn’t understand about all that, or why I keep getting into these mediocre-to-nightmarish situations that cause me to hit so many walls. I’ve been given a gift and I do not enjoy forcing things from it when I’m in a time like this. It doesn’t work that way and for me, it never will. Nevertheless: change. I can’t control how quickly it comes, but I can control that it does come. And it will. About a month ago, I wrote out my scenario for an ideal life. It was amazing how simple it actually was, and how blissfully happy I found myself in that life. I have such a hard time wrapping my head around why I haven’t yet achieved it. What am I missing? What am I doing wrong? What am I doing right? It’s not complicated, so the road to get there shouldn’t be either. I suppose the first step is to do what I would for changing any unsatisfactory situation: cut out the rubbish and make room for the good. If I only had the means to continue taking those leaps of faith–hard to do on my budget! And I don’t think I’ve done myself any favors by deciding that I probably won’t ever make a living on my books. That’s not actually up to me though–it’s up to people who would need to be buying my books! I don’t have much control over that part. In fact, I do my part: I write them and make them available. I show up at events when I’m able and I talk about them and writing, and try to create interest. What else would you like from me?? Speaking of money-making schemes…I have tossed around the idea over the years of being a wedding planner. Not that I like weddings much–in fact, I really don’t care for them at all! And I think that is the point: I don’t like the typical wedding that everyone seems to have to have. (You can read about exactly what I mean in A Potagerie of Rejects!) As a wedding planner, I would have a strict contract that would state the bride and groom would plan for what They want, no other opinions would be considered. None. I don’t care who is footing the bill. A bride and groom can pull off the perfect wedding for them without help from daddy or threats from their monster-in-law to be. It can be done. I also wouldn’t allow the bride to shop in a bridal ’boutique’. Her gown would be custom made for her, and she’d be required to do her research and bring in pictures of what she’d want. Then she’d work with a professional seamstress (and I know a GREAT one! No…not me) to create her gown. And by the way: a custom made gown doesn’t necessarily cost more than a generic off-the-rack gown. 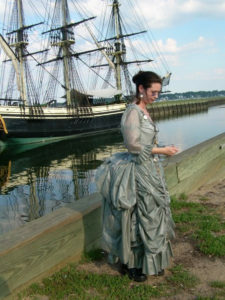 I had someone come to me years ago, wanting a Victorian gown similar to my Time Jumper dress. I gave her a quote and we talked about details, and then I never heard from her again. I think $1100 for THIS (minus the watches) made to fit one specific person, would have been a steal!! But… People get confused. They listen to other people who don’t know what they’re talking about, and then get led down roads that aren’t meant for them. I get it. It would be my job not to let that happen. Anyway…Wedding Planner…I think it would be a good job for me and there would be a lot more unique and suitable weddings going on out there. No idea how to get started on that, though I suspect sticking some business accounting classes into my school curriculum might be wise. In the meantime: I have more urgent changes to make that will allow me to keep my head above water and my passions at hand. I’m not sure I was taken seriously when I said I was done with the pointless, mind-numbing, life-stunting stress, but I meant that and still do. There’s no fathomable reason why my life has to be so damn hard for the entire time I’m on this planet. I can’t do much for other people while in a position like this, and as that is the case, seems like such a waste to even be here at all. Things must change. There is no other option. I didn’t realize that there were about thirty pieces in A Potagerie of Rejects, but as I went through it today to see how many more I needed to do a last edit on, I was amazed at what I found! I had also been hoping for a page count of around 120 or so, and I believe it’s around 135, so that is definitely a good thing! In between doing anthropology homework and quizzes, and studying for my algebra test, I’ve been working on those last edits, trying my hardest to be sure I can order a proof copy by next Friday (!!! ), and then turn around and order copies for my inventory the following week (or as soon as I get the proof and deem that all’s well). Exciting, yes?? A ‘birth date’ is nearly in sight! The best part about it–though there are several best parts about having a brand new book in hand–is that I can get back to The Open Book and work on the last of it as well. I am ashamed to say that I haven’t had a chance to work on it in about two weeks (though, not my fault–outside world invasion!) but I’ve had some rather interesting dreams lately, some of which might help. I also had a chance to go walking on Friday afternoon, and am going to try my damnedest to make that a part of my weekly routine–I Need It. My Sanity Needs It. That being said, let the ideas come flooding in–for that book, for future books, for the sake of letting me be Me again, Please. Anyway…this future anthology will have more than 8 dreams, and may not be illustrated…or maybe it will. I would like to have more illustrations to go with my writing. I think they are important to have in books so the eyes and brain can have a chance to breathe while still being entertained. Too many words in a row is not healthy. (My theory.) After some recent health issues of my own, and some epiphanies as to the causes and how to handle them, I’m pretty much all about healthy right now. After all, what use am I if I’m dead? If you have children and have ever imagined what it might be like to discover that they are suddenly missing, or you suspect someone has stolen them away–that dread and feeling of nausea–that is what losing a work in progress feels like. I know, I know–some of you will argue that you can’t compare a piece of writing to a life. Well, actually, I CAN. Just as you can’t go and have another baby that is just the same (or remotely close to) the one you’ve lost, I can no more easily recreate something once I’ve lost it. Certainly not a book! I am one of hundreds of thousands of people who strive to make a difference in the world, and I want to do it with my talent as an authoress. Last summer–about this time, in fact–I met a woman who told me that the three greatest things you can give to others are Time, Talent and Treasure. While I’ve been grossly lacking on Treasure, and Time has been taken up in part by work and school, what I’m left with offering is Talent. I wish I had the ability to build houses–to give immediate relief to people in need, but I don’t. I don’t have that. What I can build are worlds and lives, both of which can give temporary escape or long-lasting change to an existing life if people are willing to go deep and explore. It’s eye-opening for me to see how friends and acquaintances praise the literary works of other authors, forgetting that there is one very close to them–one they can talk to for further insight about these fantastical stories, or…Life. It’s my contribution to Being Real. There is something about Being Real, however, that seems to make me intangible. Those with the Celebrity Status–whom most people will never be in the same room with–are so far removed from the rest of us, it’s a wonder how people get so star-struck, rather than making the most of what’s closest to them. Nothing much I can do about that, but hope to one day be removed from tangibility…And then where will we all be? There has been a lot of talk around me lately of icebergs in relation to people’s lives–that we only see the tip of them and that there’s more underneath that we don’t know about. People who seem happy may not be. People who seem successful may not be. I don’t know how much truth there is to all of that. What I know is that I see people posting pictures of going to New Zealand and the Virgin Islands and England, and the harder I work, the closer I get to a grassy gown with a granite crown. It’s truly amazing. Really. Like, I am in utter disbelief that my upswings in life are so much shorter than the downs. There is no logic here. No balance. My iceberg definitely runs wide and deep beneath the surface. Maybe the reason for this is all my fault. I set the bars of expectation for myself really high–maybe too high. I’m not sure I can stomach the idea of lowering my expectations, mostly because I know what I’m capable of. I think it might be better if the answer to that were always a mystery. Then again–it really is, because I still keep reaching higher. A few days ago, I was talking with a good friend and told her that part of my lull in creativity (at least the mood part of it) is likely due to the fact that when I look back at the majority of my life, so much of it contains amazing, weird or fun stories–when it comes to the past two years or so, I can’t boast that. 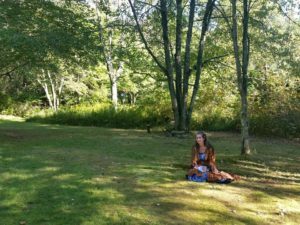 There has been so much financial struggle and worry–my life not feeling like my own, but that of an indentured servant with little to show for all my efforts, that I look back on it and see a murky, stagnant bog. This reality isn’t quite accurate–I do have memories of some really loverly things that have happened in that time, though they have been infrequent. My dad says it’s time for a new adventure, and I could not agree more. I still do my best to be observant and see the beautiful and wondrous things around me, but no one really wants to hear me say “I saw the cutest chipmunks making a raceway out of a neighborhood street today!” It kind of ends there and I can’t elaborate on it. Picture painted–voila! Move along. My stories have not been particularly substantial, by comparison to prior to my money woes–it has been a struggle and I’ve kept a lot of it to myself (though there are the few people close to me who have heard it all–and I really love them for being there to listen! ), so to me, there hasn’t been a lot to share in cheer. At least, not things I think others would consider entertaining or noteworthy. That is my lesson in this mud-blind transitional time: not to forget the whole LOT of beautiful, made up of one blossoming moment, word, breath, or thing at a time. So my motivation to get into anything is nonexistent. And even though I’m going to have one of those moments at some point this week (the one where I get a kick in the face sensation of “YOU CAN MAKE THIS BOOK SUCCESS THING HAPPEN IF YOU WORK HARDER!!!! !”) right now the best I can do is work on transcribing handwritten stories into the computer. Of all the stories I scanned through on Friday night, the best I could come up with to do this to, was an embarrassing pirate-type mess that I started in 1997. It’s amusing to look at it now (not because it’s utter garbage) but because I created and named characters for every person who was actively in my ‘social’ life at the time. Tony, Malia, Marcus, Matthew, Keith, David, Chris, Marlon, Mary, Jeremiah, Jon, Michael…(Michael, I miss you the most! Sweet and sixteen at the time and beautifully optimistic–did it stick??) None of them will ever read this (thankfully), and it lends to mind a curiosity: for the many, many times they’ve all crossed my mind in the last 19 years, I wonder how often I’ve crossed theirs? Likely none, but I expect that. If you ever feel forgotten, rest easy knowing that I’m the most out of sight, out of mind person you will ever know. This story isn’t finished, though I did bring myself to add a good 10 pages of new content over the past few days, just because–for old times’ sake. I wonder what they would think of this story…I wonder how they would feel about themselves, considering that I wrote them exactly as I knew them at the time…Not to mention the dialogue and the things that were said…Oh, yes–I remember it way too clearly. Fortunately for everyone involved, I couldn’t begin to imagine how to salvage this one. It may take another 19 years of adding and tweaking and morphing to make it publicly consumptive. No rush though, right? This was back when my heroines were weak, because I was. I wonder when I will yank out the cooked lasagna that plays as my protagonist’s backbone and replace it with steel…Will that happen in this one? Maybe. I had another story with another distressed damsel, and I gave her a new life. Damn, did she ever turn out eloquent! Who knew she had such a voice?? Maybe there’s hope for this one–little Alyce Lamoreaux. You have so much improving to do before I will even consider liking you. It is my intention to increase my event attendance in 2017, to make up for the drastic missing-out that has happened in 2016. Yesterday, I contacted the coordinator of Far Point 2017, and Glimmerdark 2017 (the new version of the Wicked Faire), to see about being at either event. I’ve been considering trying to get back up to MA for Waltham’s Watch City in May 2017, though that is a bit of a haul and would require that I get a hold of an E-Z up between now and then. It was a great show when I went a few years back, so definitely still on my radar. I have my eyes and ears open for others to fill in the year, so more on that as things develop! Here’s to the planning (and execution) of a new, upcoming, and very successful year in getting my books into the right hands! I’m back home after a night spent with my sweetheart, and then a walk through a nature preserve–wherein I was supposed to be concentrating on my writing headspace, and not getting FOUR calls from work. People: I’m off today. Save it for next week. Anyway, it was a nice time out in nature. I saw a swimming baby turtle, a chipmunk, a great egret, and a very strange and naked caterpillar which landed on my foot after falling out of a tree. Oddly, that has now happened to me twice in less than a week. I guess I need to take some advice from a caterpillar–or two. (The first caterpillar landed on my head, however, not my foot, and it was super hairy.) After all of that, I sat in some ridiculous traffic caused by two different spin-outs. Probably caused by people texting, since that doesn’t seem like it’s ever going to go away until we’re all dead or someone makes a car that shuts down cell phones. I would invest in one of those cars in a heartbeat, if it meant I could make my 40 minute drive to/from work in peace!! Again–I digress. Day off, remember?! While I was amidst Mother Nature’s living room, I came up with a few little details for TOB, and I’m going to type them into the book once I’m done here, and cross my fingers that it will boost me along into writing several pages–close up some more chasms, yes?? While sitting here a moment ago (before starting this post), I was thinking about my long writing runs–those 2 weeks or so where I write 5 to 18 pages in a day…What is it that makes that happen? What triggers it? What keeps it going? Am I eating differently? Am I somehow altering my routine? Is someone out there in the world sending me the good juju?? I have no clue. If and when I get into one of those stints again, I’ll try to pay attention and see if I can later duplicate it and keep that kind of writing going all the time. I know having muses freshly in my mind helps quite a bit. The more I can see the movements and hear the voices and see the faces of my characters, the easier writing can be. Sometimes, however, the characters don’t ever develop a voice, and if they aren’t modeled after a live person, it can be very hard to keep that all going. Melissa and Teagan in the Twins Trilogy, for instance: they have no such origin. Ironically though, it fits the nature of their characters…Read the books if you want to know what I mean by that. Especially TOB when it comes out. Not much else to report. I just felt like writing a blog. I guess that’s not out of the ordinary for me though: just writing randomly and without any purpose. Blah, blah, blah. At least I have this wall to throw words at, and see if any of them make a difference in the world.